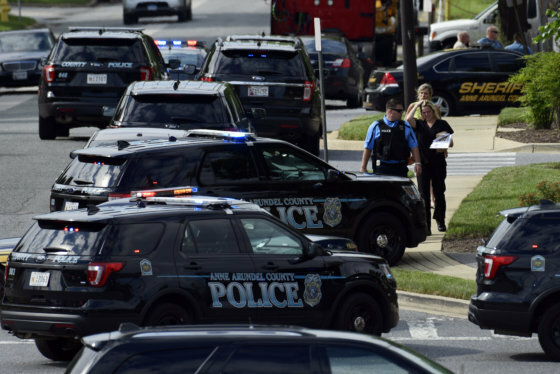 WASHINGTON — Across Maryland and the U.S., officials shared their grief, sympathy and horror on social media over the news of Thursday afternoon’s Capital Gazette shooting in Annapolis. Five were reported dead; the suspected shooter is in custody. As the news broke, Maryland Gov. Larry Hogan tweeted that he was “absolutely devastated” by the attack. And, during a news conference near the crime scene later, Hogan credited first responders for arriving quickly. “I want to praise the local officials who responded so well and perhaps saved other people’s lives by getting there while the thing was taking place and apprehending the suspect,” Hogan said. President Donald Trump, too, thanked first responders and offered his thoughts and prayers. Sen. Chris Van Hollen, D-Md., tweeted encouraging words to Capital Gazette reporter Phil Davis’s haunting account of the attack, after sharing his own words of sympathy. Rep. John Sarbanes, a Democrat who represents Maryland’s 3rd District in the U.S. Congress, was “deeply saddened” by reports. I am deeply saddened by reports of a shooting at @capgaznews. My thoughts are with the paper’s staff and their families at this difficult time. I will continue to monitor the situation and work with local, state and federal law enforcement as we assess these developments. Other lawmakers, from U.S. senators on Capitol Hill to Maryland state senators, also shared their reactions. 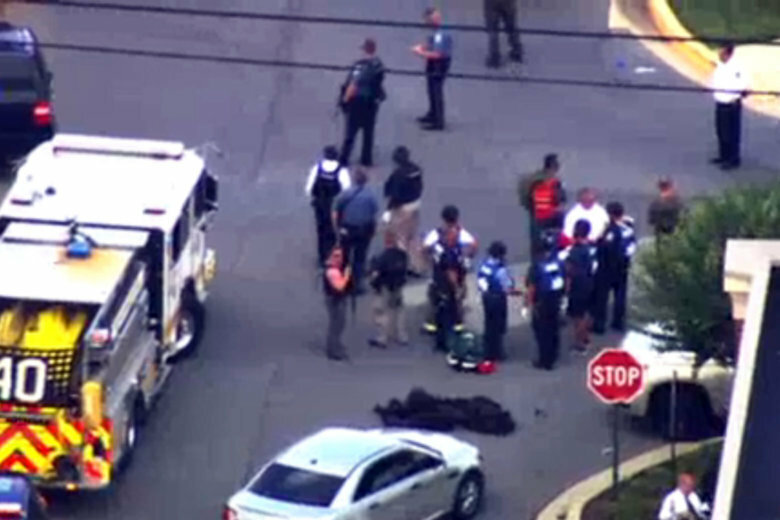 I am deeply saddened by reports of a shooting at the Capital Gazette’s office building. I am praying for the victims and first responders, and I thank Anne Arundel County’s law enforcement officials for swiftly apprehending the shooter. My heart goes out to the families and victims of the shooting at the Capital Gazette. We have had to witness far too many of these atrocities, and it is time to put an end to them. I will continue to monitor the scene, and ask you all to keep the victims in your prayers. Monitoring reports of a shooting at @CapGazNews in Annapolis. My thoughts and prayers are with the staff, first responders, & others on the scene. Thank you @AACOPD for your immediate response. Sitting here in Annapolis at Kirwan Commission and we get news of mass shooting at Gazette down the street. I just feel sick, and I’m terrified to hear update on Gazette staff. Praying for no serious injuries. This insanity is not normal. Ben Jealous, who will face Hogan in the 2018 race for Maryland governor, expressed his sympathies as well. The U.S. Naval Academy in Annapolis also tweeted their condolences. WTOP’s Sarah Beth Hensley contributed to this report.